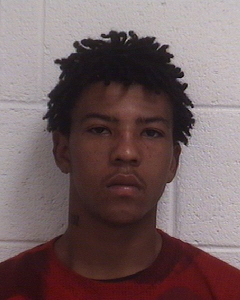 Sheriff Alan C. Jones has announced on July 24, 2018, Agents with the Caldwell County Sheriff’s Office Ice Unit, Lenoir Police Department Narcotics Division, and the Burke County Sheriff’s Office Narcotics Division joined together in an investigation into suspected Heroin dealer, Dorian Michael Morgan, age 29, of Morganton North Carolina. Agents have been working the investigation into Morgan for the last several months. Morgan, who was identified as staying in Room 220 at Days Inn in Lenoir was stopped Tuesday morning around 11:00 am after leaving the room. A search was conducted on his vehicle and a small amount of marijuana and a digital weighing scale was found. Following the vehicle search, Agents executed a search warrant for his room and found over 40 grams of Heroin and other items of drug paraphernalia. The Heroin has a drug value of $24,000 according to North Carolina Drug Guidelines. Morgan was subsequently arrested and charged with Felony Trafficking in Heroin by Possession and Felony Maintain a Dwelling to Keep/Store a Controlled Substance. If convicted, he is facing a mandatory prison sentence. Morgan was incarcerated in the Caldwell County Detention Center under a $250,000 secured bond on the charges. He has a first appearance in District Court in Lenoir on July 26, 2018. Caldwell County Sheriff's Office I.C.E. Unit at 828-757-1178.